This adorable wrap style dress has a flattering cut that works for nearly everyone! The Wrap It Up Tie Side Dress is made of a soft, comfy fabric and is unlined. 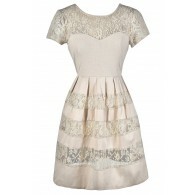 It has a crossover V neckline, an empire waist, and a crossover skirt, giving it a wrap look. A tie on the side of the skirt adds a polished touch to this look. 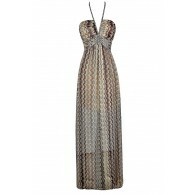 The Wrap It Up Tie Side Dress is a great option for nearly any event. It would make a cute work dress to wear in a business casual environment. It is also perfect to wear in the summer when shopping or running errands. Pair it with flat beaded sandals, wedges, or heels. Details: Made in USA. Unlined. 92% polyester, 5% rayon, 3% spandex. Hand wash cold. Do not bleach. Lay flat to dry or dry clean. Small measurements: Length from top of shoulder to hemline: 37". Bust: 34". You have added Wrap It Up Tie Side Dress in Red into Wishlist. 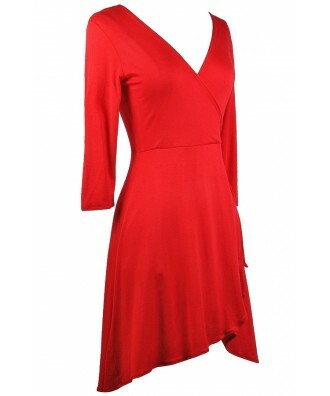 You have added Wrap It Up Tie Side Dress in Red for Stock Notification. 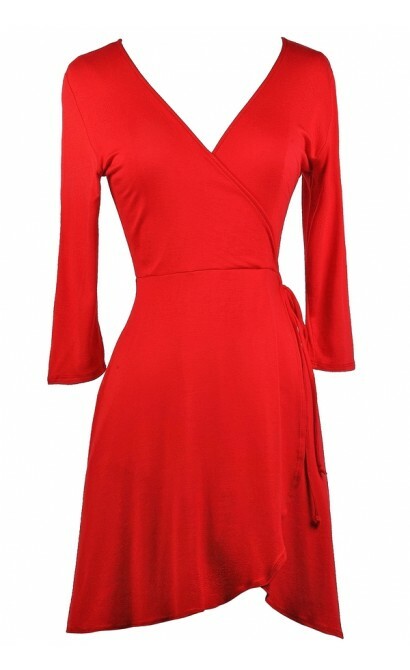 You have set Wrap It Up Tie Side Dress in Red as a loved product. 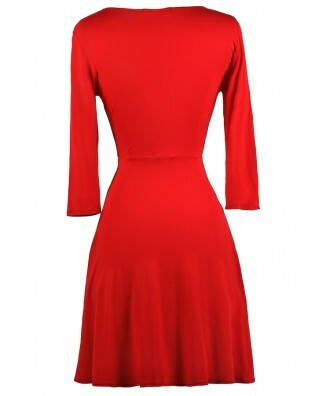 You have removed Wrap It Up Tie Side Dress in Red as a loved product.